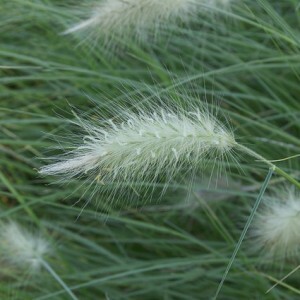 Pennisetum is an extraordinary attractive perennial grassy plant of the family of Cereal. But today this perennial is grown up around the world – both in the USA, and in Europe, and in Africa. The name of this plant is formed by two Latin words: "penni" (feather) and "seta". Therefore the name of a plant speaks for itself – cones in inflorescences are collected in verticils and have plumose. Not less than 150 types of a pennisetum are, but our popularity only some of them as this plant only starts gaining popularity at gardeners enjoy. Practically all its types are widespread in tropics and subtropics – Africa and South America. In height this perennial can reach 1,5 meters, but also undersized types meet.